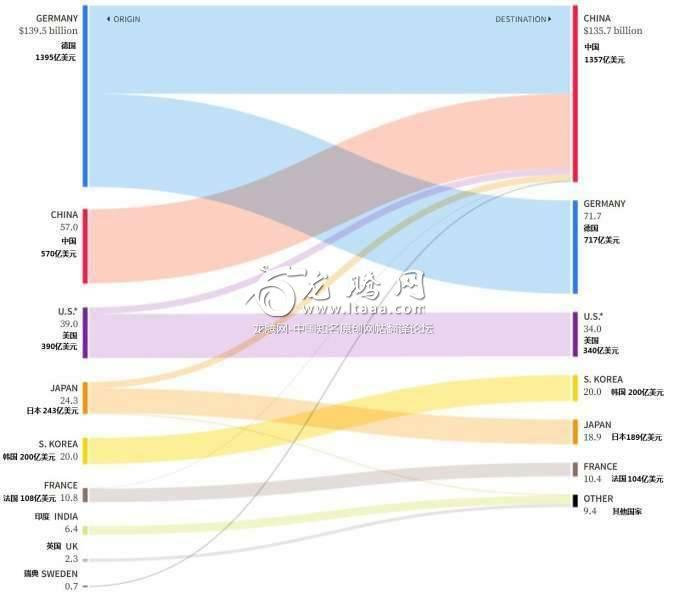 全球汽车制造商正在为电动汽车投资至少3000亿美元，其中超过45%被指定用于中国 [美国媒体] Automakers are investing at least $300 billion in electric vehicles, with more than 45 percent of that earmarked for China. 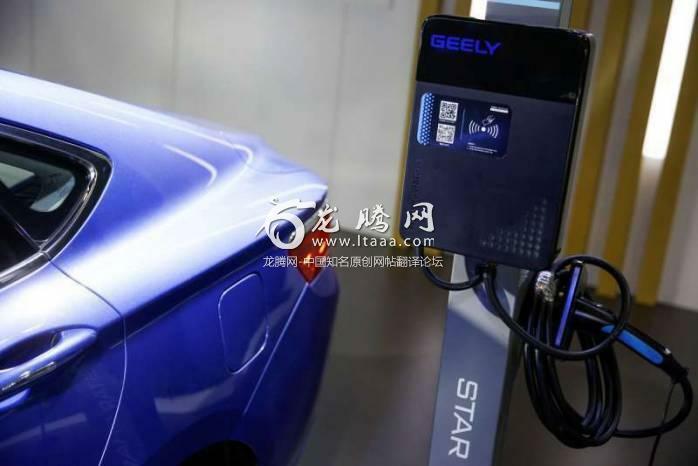 An electric car charging station is seen at Chinese automaker Geely's booth at the IEEV New Energy Vehicles Exhibition in October 2018. In December 2018, VW said it planned to spend $34 billion on e-mobility initiatives and $57 billion on battery procurement through 2025. It plans to introduce 50 battery electric and 30 hybrid electric models by 2025, including 12 electrified models for Audi. Eventually, VW will offer electrified versions of all 300 models in its 12-brand global portfolio, including 15 million vehicles off its dedicated EV platform by 2025. VW will invest $17 billion by 2022 with China partners SAIC, FAW and JAC to make electrified vehicles. Daimler plans to unveil 130 electrified vehicles, including hybrids and fuel cells, by 2030, and has budgeted $30 billion for batteries. Its Smart brand goes all-electric by 2020, and Daimler is adding electric vans and heavy trucks to its fleet. It is jointly investing $1.9 billion in China with partner BAIC and is in talks with BJEV to make Smart EVs in China. Hyundai and affiliate Kia are investing $20 billion over five years in electric and self-driving vehicles, as well as batteries. By 2025, the group expects to roll out 14 pure electric vehicles, 12 hybrids and two fuel cell electrics. It is investing $6.7 billion in fuel cells, and is developing a dedicated EV platform. Changan plans to end sales of combustion-engine vehicles by 2025, while it launches 21 new electric vehicles and 12 new hybrids by then. Its total electrification budget is $15 billion. Toyota is investing $13.5 billion through 2030 on battery technology. It has a joint venture with Mazda and Denso to develop and build electric vehicles. Toyota plans to launch 10 electrified models in China by 2020, and electrified versions of all models by 2025. It expects to sell 5.5 million electrified vehicles globally by 2030. Ford says it will launch 24 new hybrid and 16 new battery electric vehicles by 2022, and says 70 percent of its China vehicles will have eletrified powertrain options by 2025. Ford has a $750 million EV joint venture in China with Zotye. Tesla, which builds only electric vehicles, has budgeted up to $5 billion for capex for 2019-2020. It has said its new China vehicle and battery plant will cost $5 billion. Tesla still has not fully funded its $5 billion Nevada battery factory. Thanks Tesla for forcing them all off their lazy butts. This is the truth. Without Tesla we'd be looking at fuel cells and alcohol powered crap. With the exception of Tesla the US auto industry is set for a huge fall by not taking EVs more seriously. China and VW beat them to the punch when Detroit didn't even realize it should be fighting. The US auto industry has chosen trucks and crossovers as the hill to die on. All they can see is the piles of cash they're making from the Ford F-series, Silverado, Yukon, etc. They are banking on the notions that either BEV trucks won't show up in high numbers, won't be capable enough, will be too expensive, or people, due to cultural reasons, just won't want them. If those assumptions are all true, then they can continue to manufacture trucks and just ignore the rest of the world. If those assumptions prove false, then their companies will fail. I can't even imagine what it'll do to our economy if Ford or GM go belly-up. They've started to replace buses with electric ones. 10,000 in shenzhen alone. 45% of it is going to China, definitely seems like a win for them. With China’s population being almost 1/4 of the world, is this really surprising? If it were up to the "free market" these carmakers would still be 10 years behind in EVs, because they'd all have a race to the bottom in terms of using the dirtiest (aka cheapest) engines and the smallest batteries for hybrids. Weird, it's almost like China demanding more EVs didn't suddenly cause manufacturers to stop wanting to sell cars there. I wonder if there's some sort of lesson here that could be applied to the US. Say what you want about IP theft and stuff but China is a massive success story for VW. And while all the Talk is about the Tesla factory, BYD and NIO, VW knows that firing the first shot does not necessary win you the War!